The Indian Bhagavata Purana explains that long time back, in times when demigods and demons were mortal beings, teamed up to create "Amrita", the nectar of immortality. After the pact, once made the elixir, demigods had stolen the pot containing the essence of life, causing a battle with the demons that lasted the equivalent to twelve human years. During the battle, twelve drops of the precious nectar fell in four different geographical locations in India. 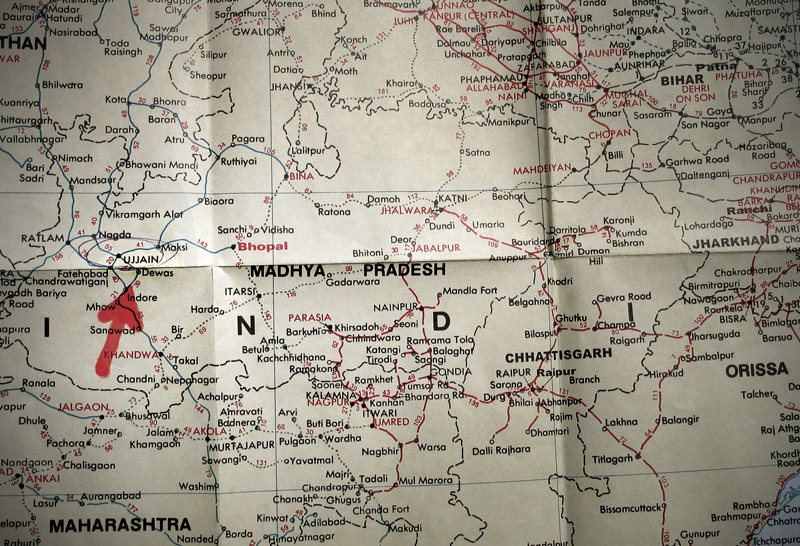 These four places are since believed to have acquired mystical powers. It is said that today, once every three astrological years, the river waters from one of these four places become a redemptive nectar for those who dip their bodies in it, shaking the Indian subcontinent with a religious pilgrimage difficult to be conceived. 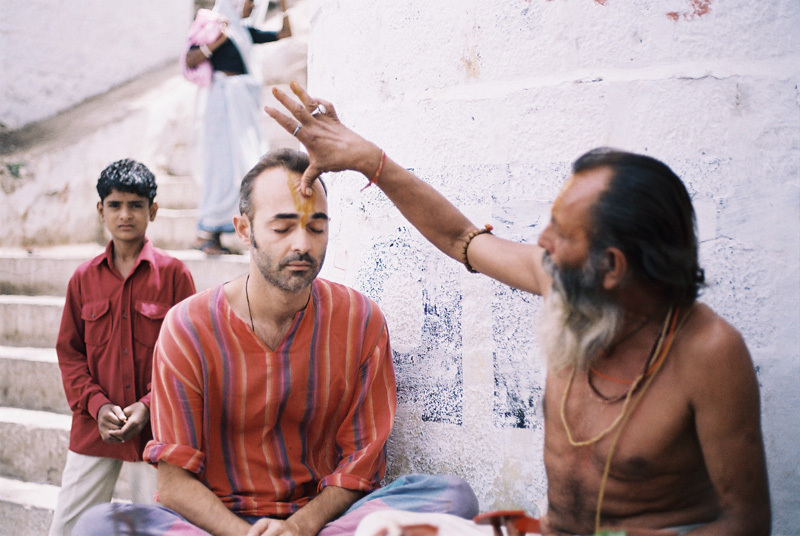 Ujjain, a small city of five hundred thousand inhabitants located in the heart of India, is transformed every twelve years in the center of Hinduism. Its population grows, for a period of six weeks, at least twelve times. 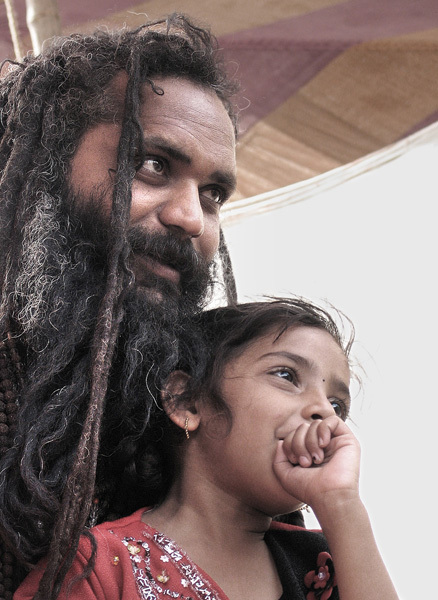 Families, pilgrims and holy men travel from all corners of the subcontinent to attend the Kumbh Mela. 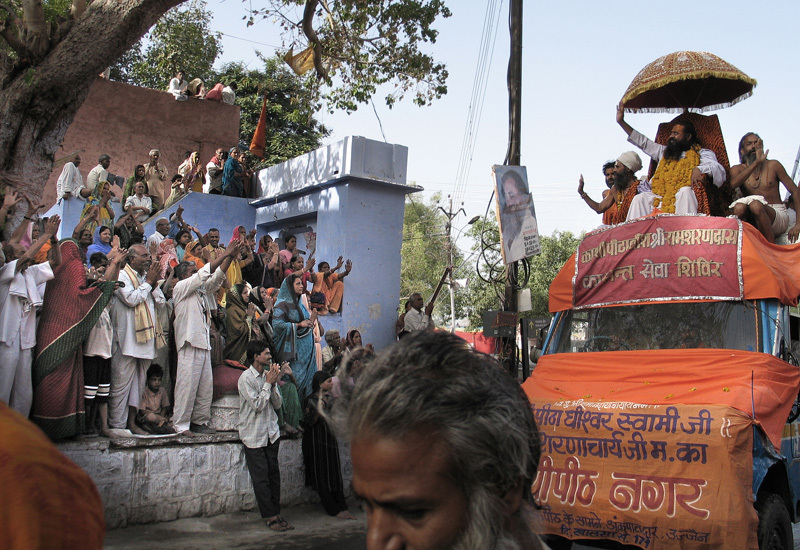 Pilgrims on their arrival at the city of Ujjain. 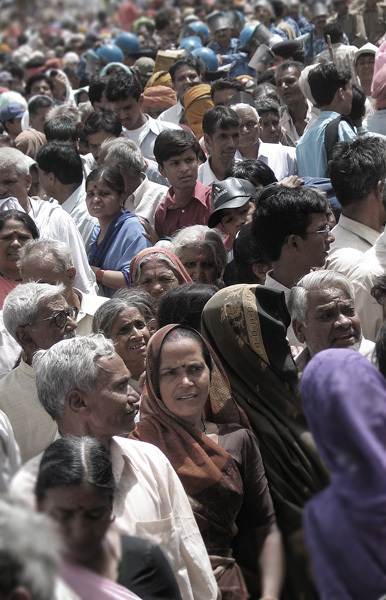 The Kumbha Mela is considered the largest concentration of people on the planet. 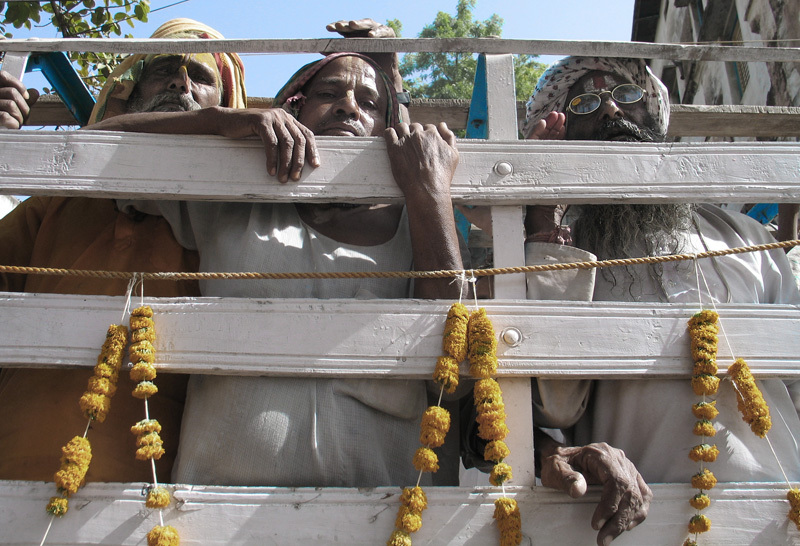 During the month and a half of its duration, millions of visitors, pilgrims, gurus and sadhus are flocking there. 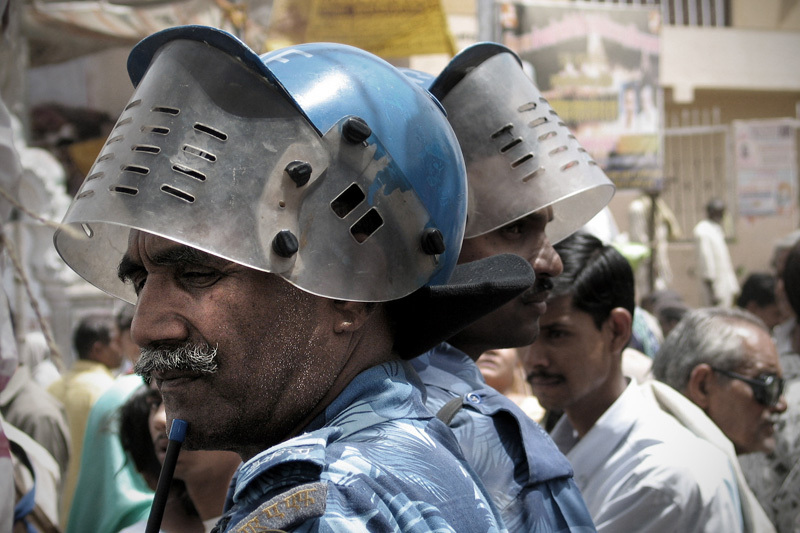 Police and army forces play a basic role in the safety of the event. 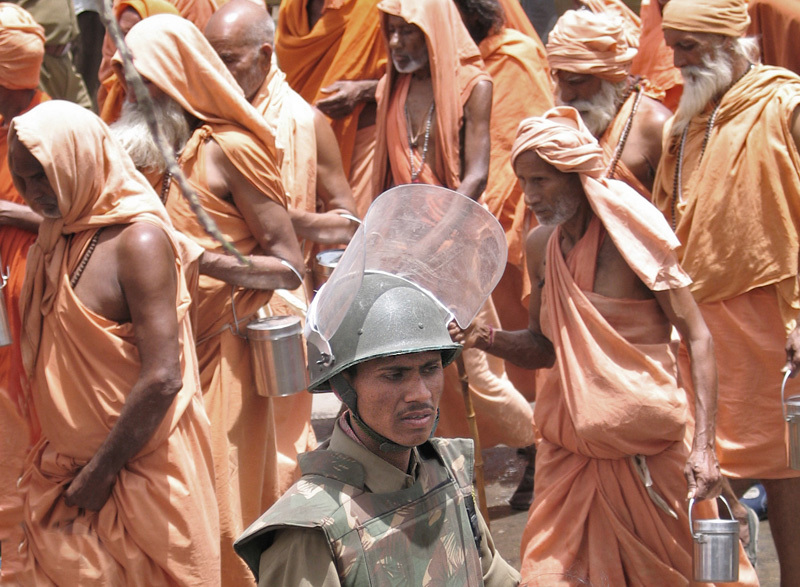 Several squads policemen regulates the flow of pilgrims to and from the bathing ghats. 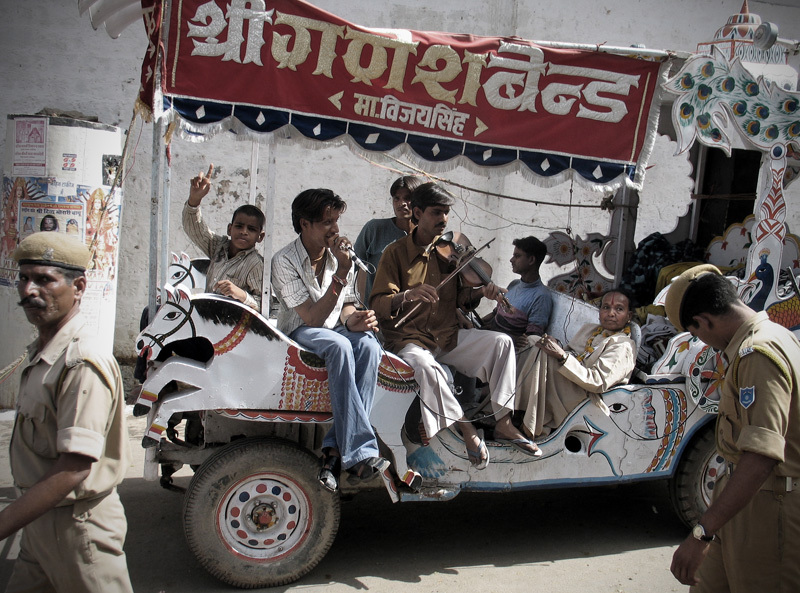 The means of transport to get to the Kumbh Mela are diverse. The necessary logistics to accommodate and supply millions of pilgrims for over a month and a half is huge. 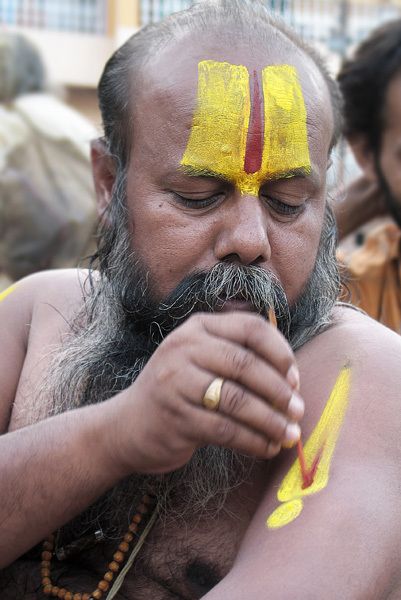 A pilgrim paints a tilaka on his body. This painting uses different colors and symbols to represent higher states of consciousness. Each design identifies the particular denomination and the god to whom the worshipper is devoted. 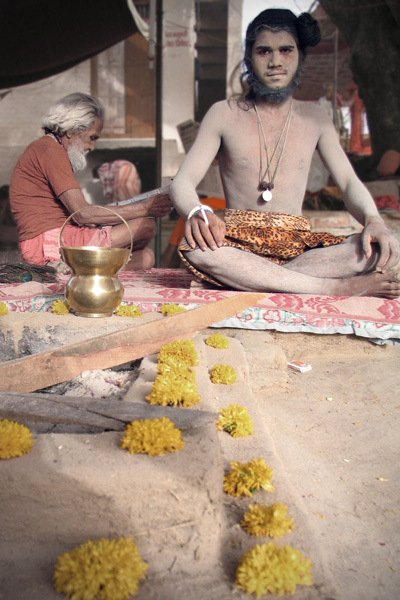 A follower of Hannuman, the monkey God, next to the Dhuni, the sacred fire. 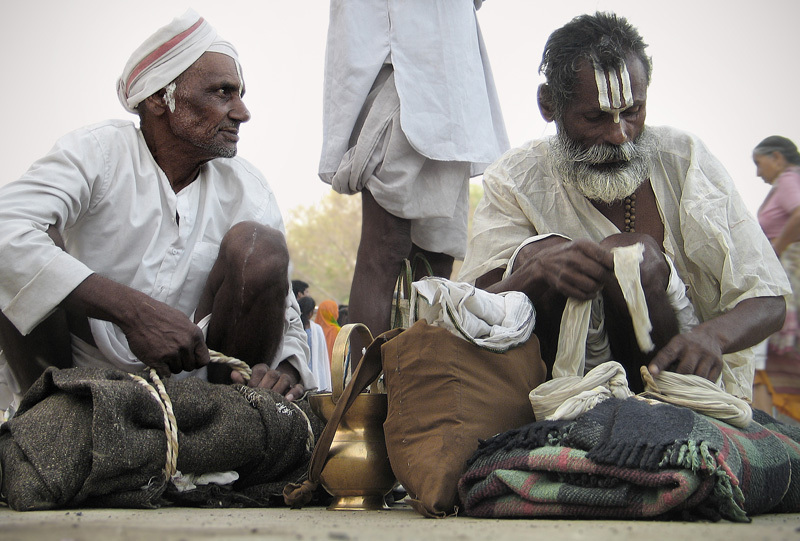 This growing religious gathering, that is already the world's largest, is a mass pilgrimage of faith in which Hindus gather at a sacred river for a bath. 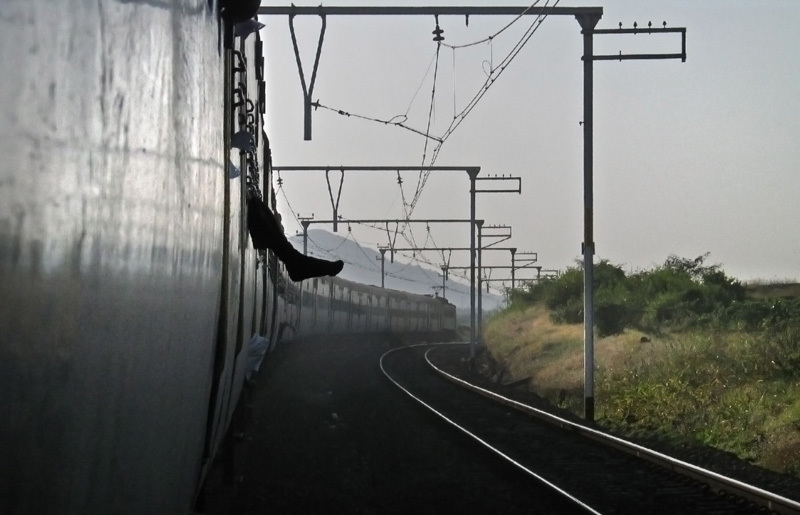 It is held every third year at one of the four places by rotation: Ujjain, Haridwar, Prayag and Nasik. 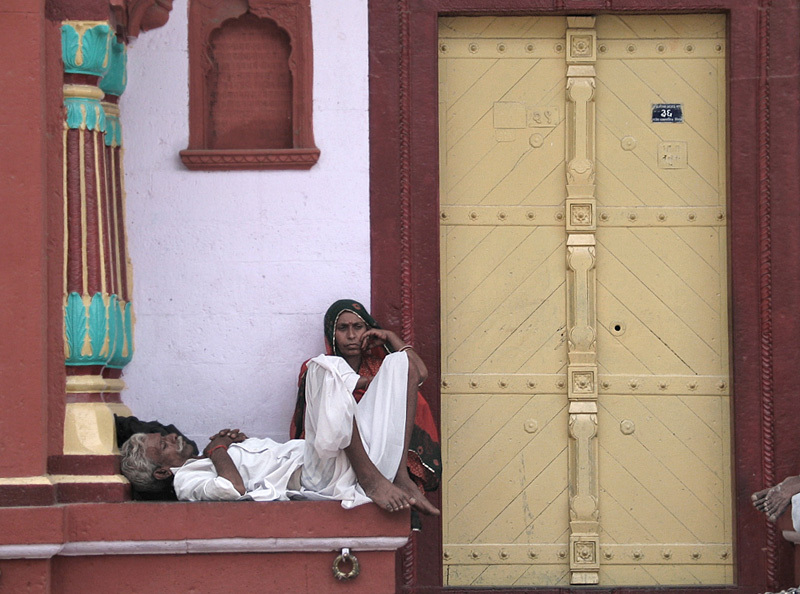 Hindu devotees wait to see a procession as the holy men make their way to bathe in the holy waters. Each school, temple, ashram, guru or master showns in a different way. There are those who parade on horseback, truck, bicycle or even original presentations as this. 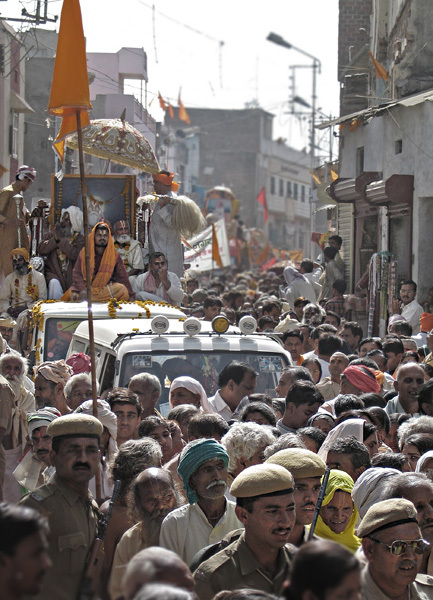 Ujjain, hosting the Kumbh Mela, is the scenario of ceremonial parades marking the official arrival of the holy men. 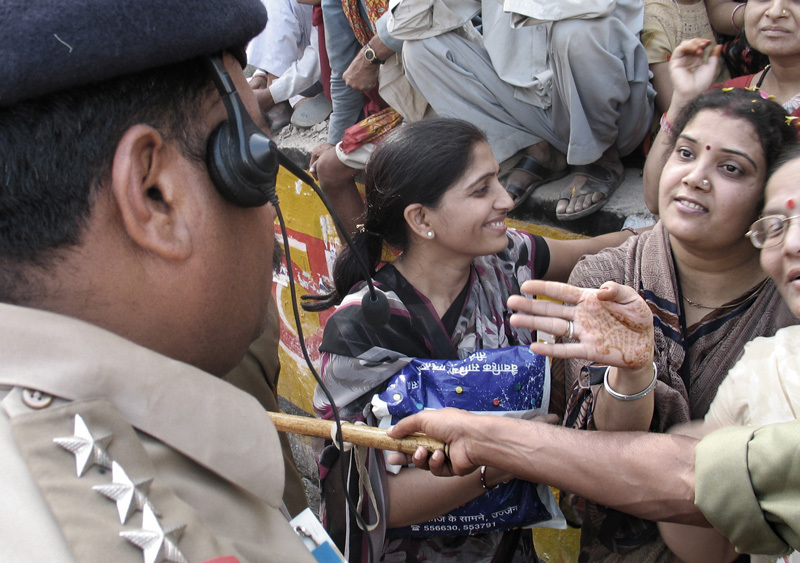 A police captain speaks with a lady while a securiy member keeps the public separate. 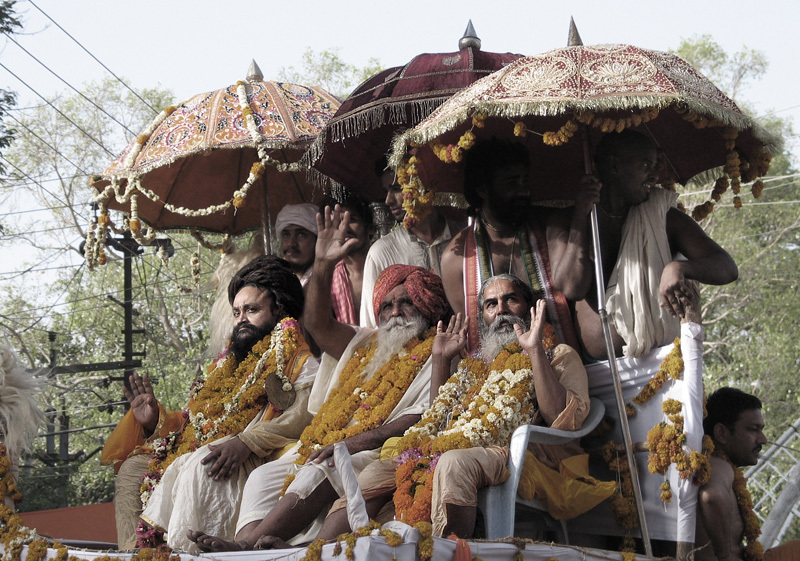 The Mahants and Gurus coming from all the four corners of the Indian subcontinent range in mass processions. 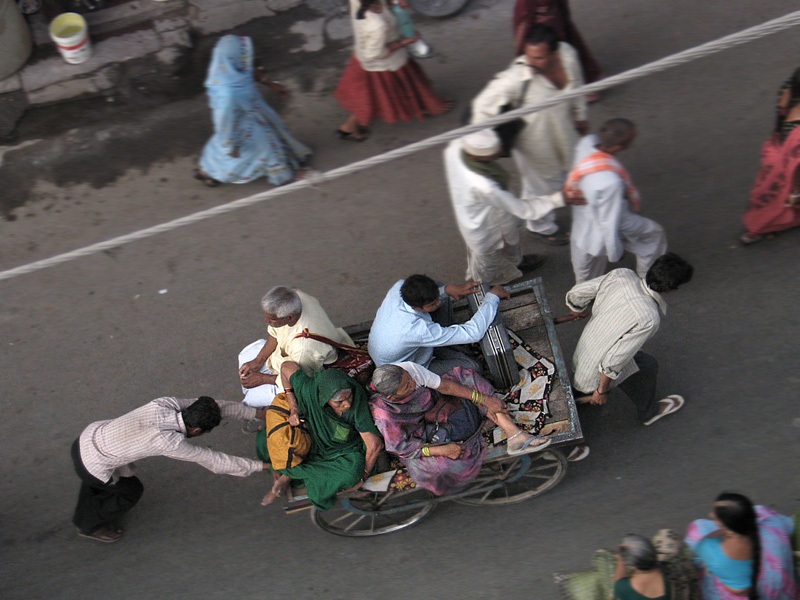 They mount in a variety of means of transport: in the picture, a cart pulled by disciples to show their devotion. The ever-present danger of stampedes of pilgrims in narrow streets is evident. 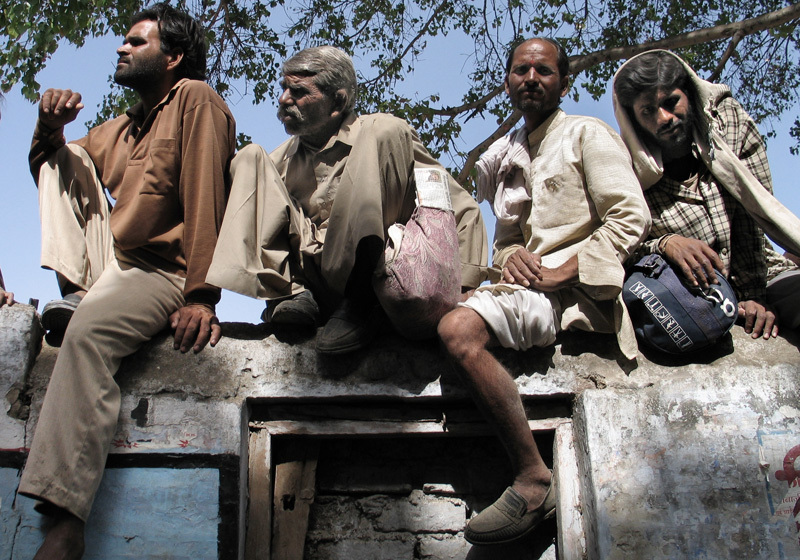 Pilgrims dressed in traditional costumes in the streets of Ujjain. Over eighteen thousand police officers lead and serve the tide of pilgrims and holy men. Fortunate pilgrims. Usually is not easy to find proper places to rest. 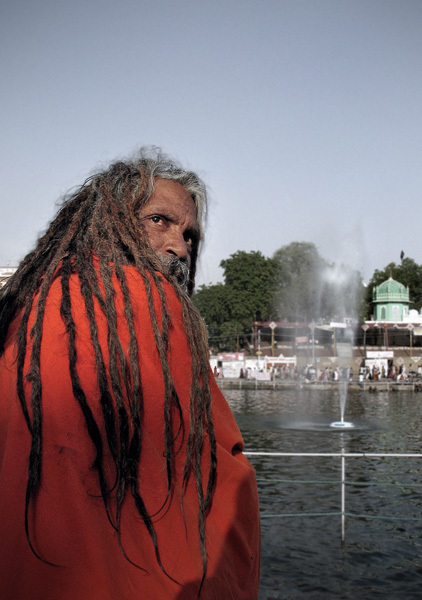 A Hindu devotee performs a ritual at Shipra river in Ujjain, Madya Pradesh, India. 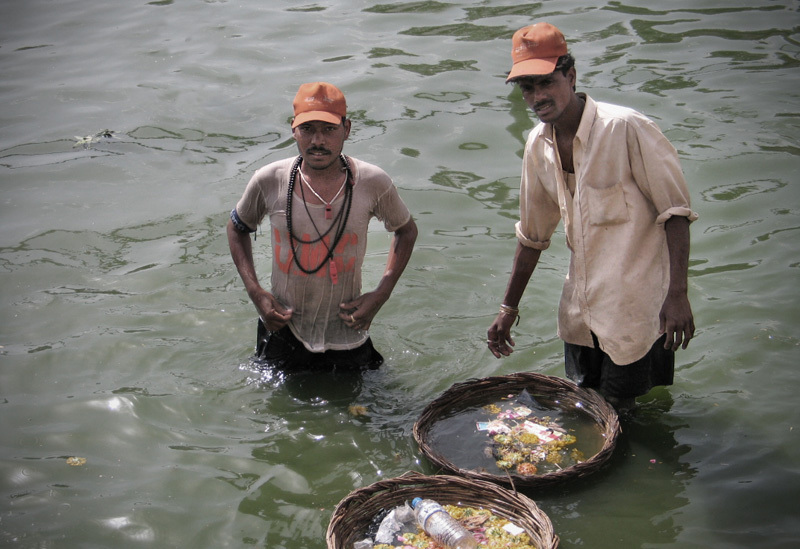 Thousands of sweepers had been deployed to keep the area clean, even the Shipra river waters. 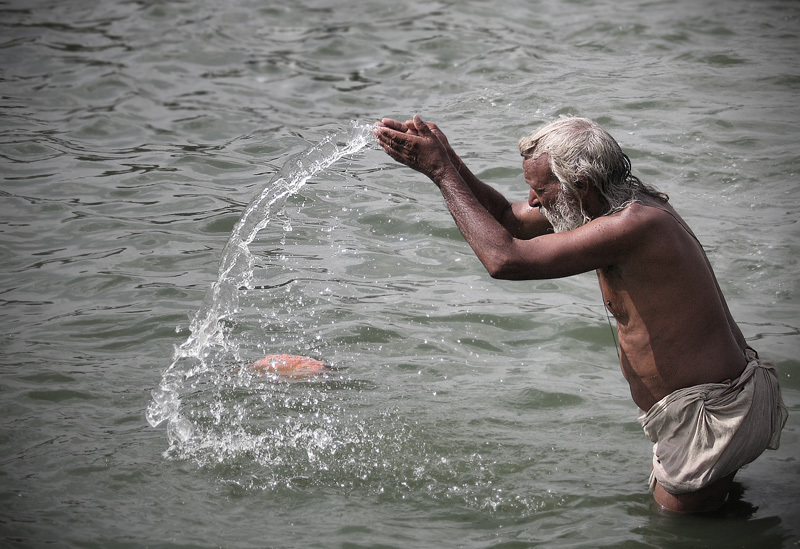 A pilgrim performs a yoga assana while floating in the holy waters of the Shipra river. 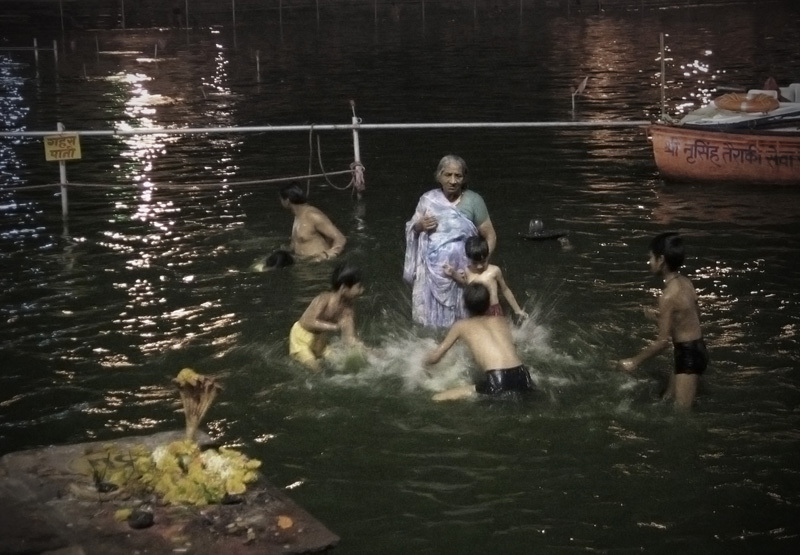 A devotee dresses up her Sari after being ritually bathed in the Shipra river. 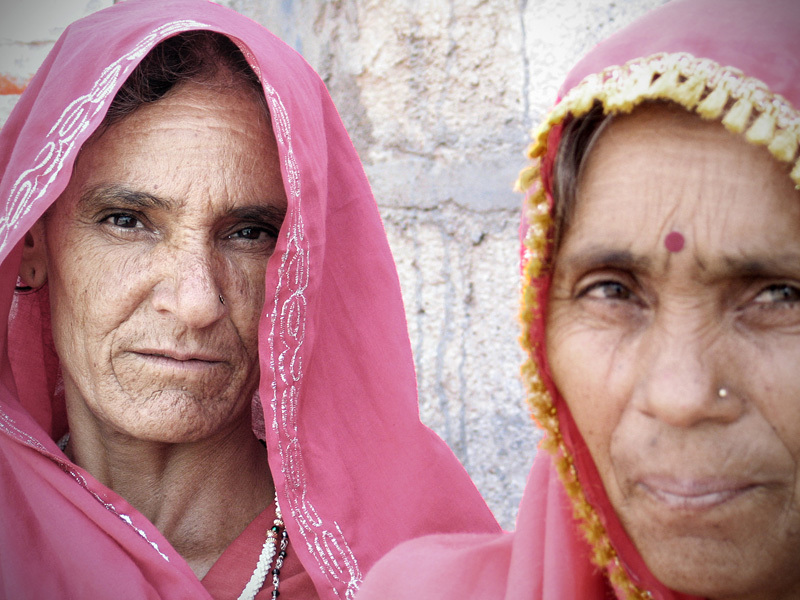 The sari is a single piece of clothing that can reach a length of seven feet. 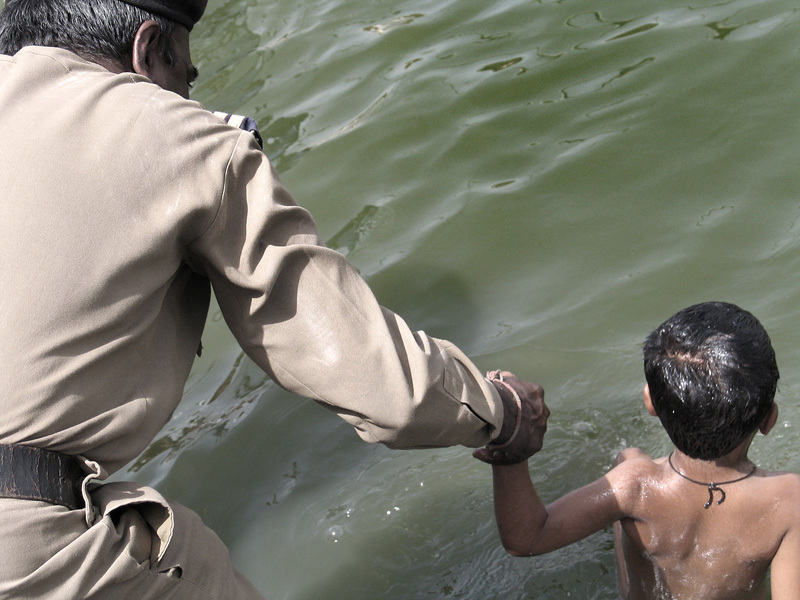 A police member helps a child to take his bath. 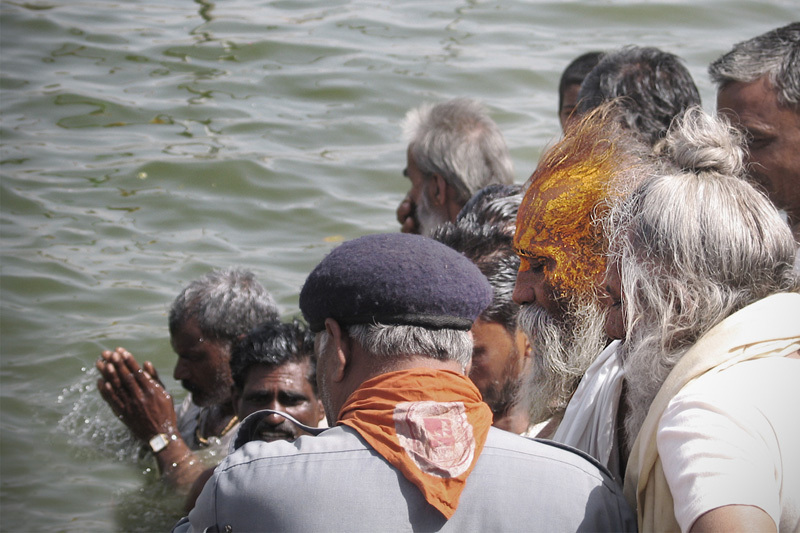 The most important event of the Kumbh Mela is the immersion in the river when the holly waters become amrita. The Hindu believe that fully immerse yourself in the water at this time, cleanse your sins and your ascendants in 88 generations. The best bathing day for an ascetic who practices silence (mauna), is on Mauni Amavasya (the new moon day when the sun and moon are in Capricorn). 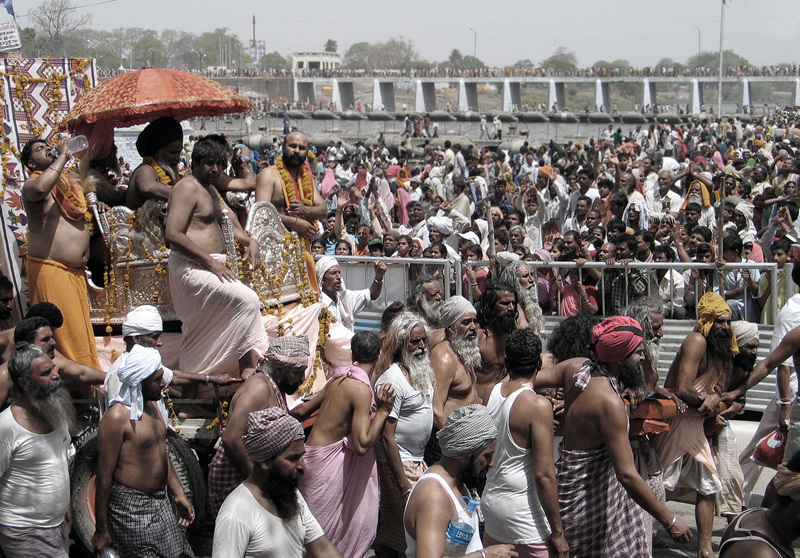 Upwards of six million Hindu holy men and pilgrims took a plunge in the Shipra river to wash away lifetimes of sins in Ujjain. 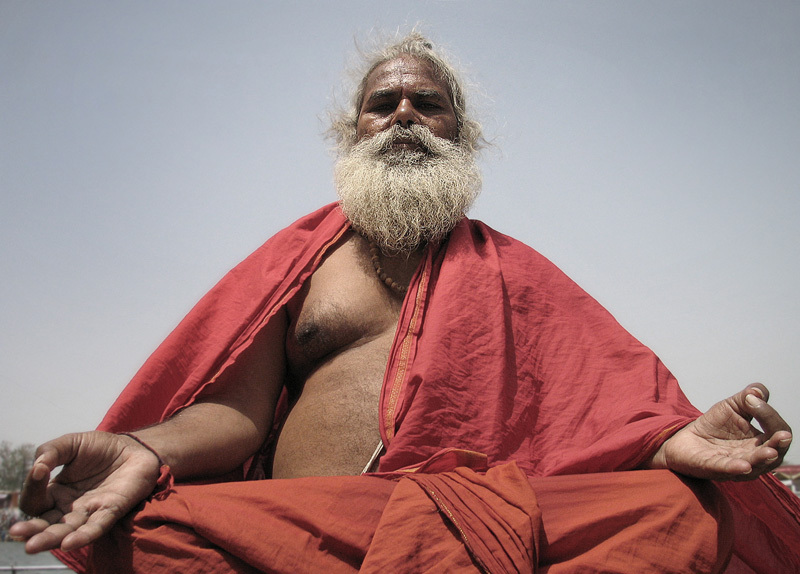 A saddhu meditating dressed in his saffron clothes. 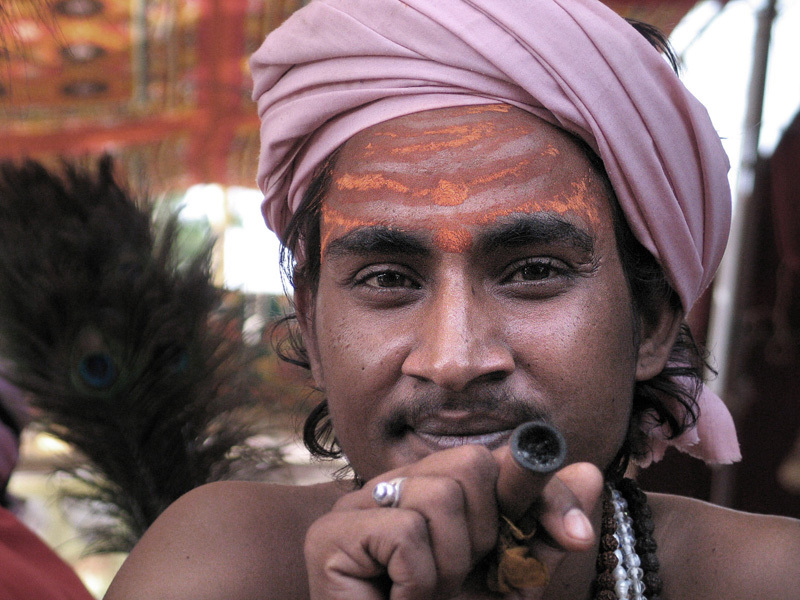 Harish Puri, a Naga Sadhu, smokes from his chillum. A chillum, is a straight conical pipe with end-to-end channel, traditionally made of clay and used for the spiritual use of cannabis. The Shipra river, these days received special care. 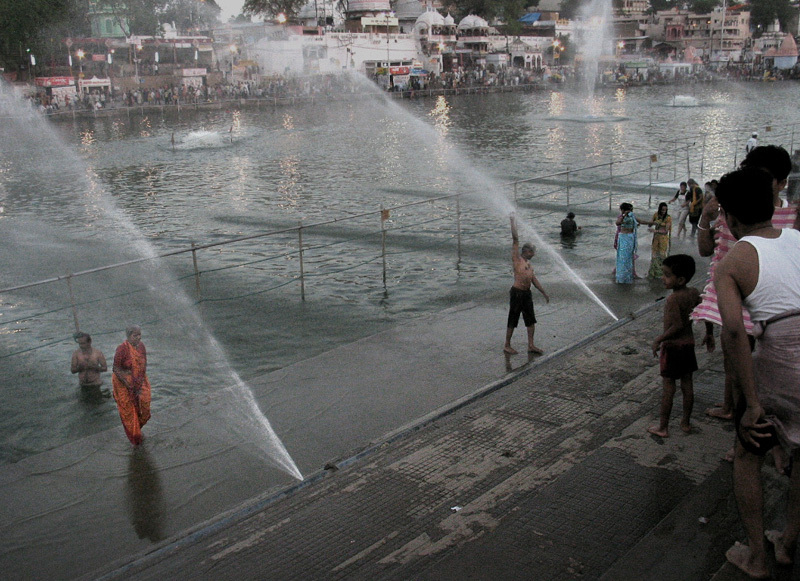 There were fountains and oxygenators scattered all the way from the ghats. The cleaning of the waters allows, in turn, to appease the high temperatures. The temperatures, which reached more than forty degrees in the shade during the day, are tempered by nightfall. Perhaps is the right time for the children to enjoy in the water. 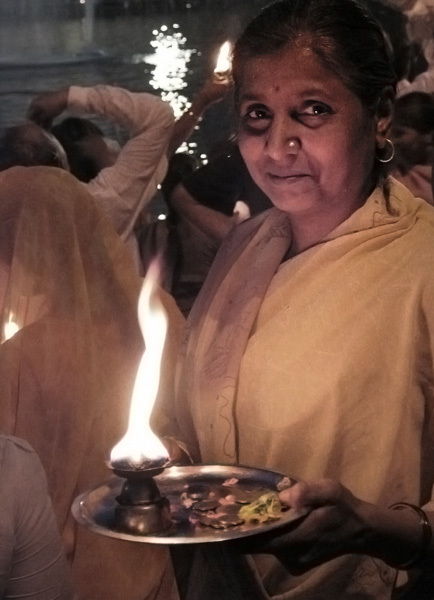 Along the river, religious offerings or "pujas" are celebrated with fire as a protagonist. Agni, God of fire, is the perfect messenger from and to the other gods. 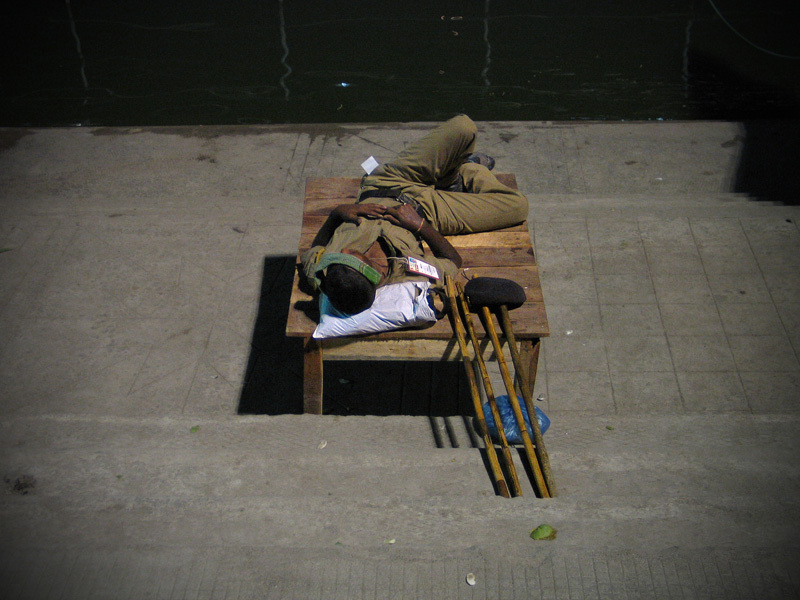 A policemen, lying on a table, rests exhausted alongside some riot batons. 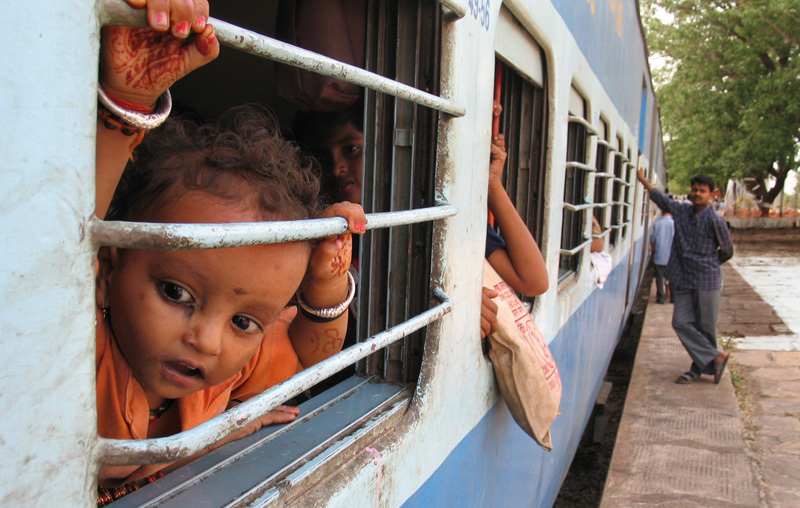 The public transport to move within the city was overwhelmed. Coming back home. 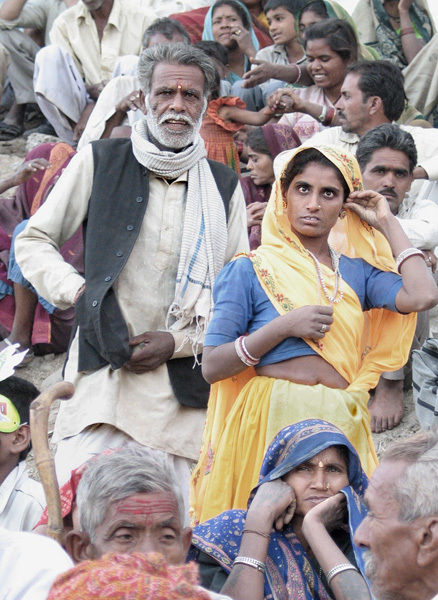 After one and a half month, the Kumbh Mela is a tough trial of faith for the pilgrims.